AirSwap (AST) – the New York State-headquartered startup developing a decentralized exchange (DEX) for trading Ethereum-based ERC20-compliant cryptoassets – have provided details of their new conversational over-the-counter (OTC) block trading product, which today launched onto the mainnet for an exclusive, private beta group. In a blog post published on Friday by Don Mosites (Co-Founder, AirSwap), they explained the urgent need for OTC trades to be executed in a manner that is more secure and efficient than the currently underwhelming best practice administered by OTC desks. Indeed, despite accounting for a “large portion” of the total amount of cryptocurrencies traded each day, the OTC market suffers from various inefficiencies. As AirSwap’s announcement highlighted, the “time consuming, hands-on, and expensive” OTC cryptocurrency trading experience tends to involve an arduous method of client discovery, a cumbersome negotiating process that too often is “coordinated over a variety of chat apps,” and a drawn-out settlement procedure tainted by an uncomfortable level of counterparty risk. Having “designed an integrated trading product hand-in-hand with several prominent OTC desks in the space,” AirSwap believes their new OTC trading product has thoroughly addressed these aforementioned inefficiencies. 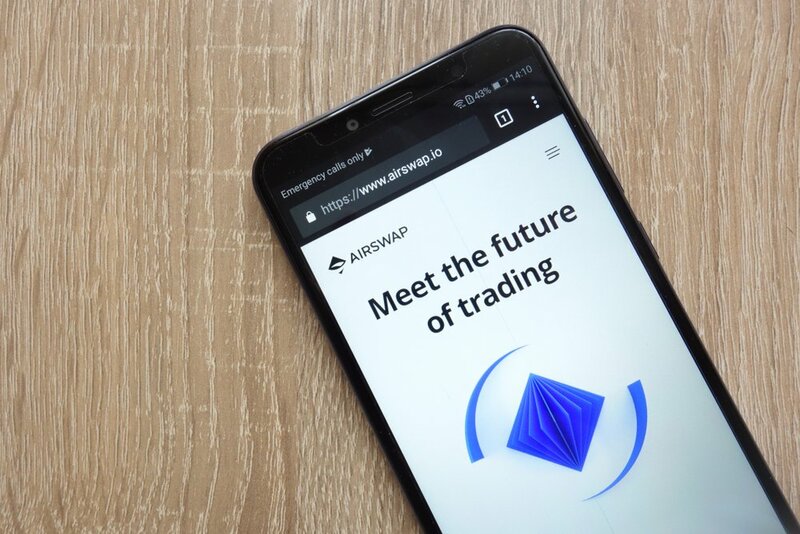 Whilst AirSwap provides greater detail in their blog post, improvements can largely be attributed to the creation of a streamlined counterparty discovery mechanism which “instantly connects mutually interested traders based on tokens, sizes, and qualifications,” as well as a seamless KYC/AML process that is handled by Wyre, a San Francisco-headquartered blockchain payments platform who recently partnered with AirSwap. The announcement from AirSwap comes after they “recently hosted a select group of thought leaders at the intersection of technology and finance” at their Brooklyn headquarters. Here, Maxime Bucaille (Analyst, AirSwap) led a live trading demo of the new conversational OTC trading product. As part of the event, well-known AirSwap advisor and shareholder Mike Novogratz (Founder & CEO, Galaxy Digital Capital) partook in ether (ETH) – Dai (DAI) trades with Michael Oved (Co-Founder, AirSwap), with their conversations and settlements broadcast via projector screens to the audience.